If a website is not working they way it should, or you want to make sure your privacy by removing all cookings in the Microsoft Edge browser then this guide will help you where to find how to clear the Microsoft Edge Browsing Data. 2. Click or tap the three dots in the top right corner of the program. 4. Check the boxes of items you want to remove from your computer. Options 7 to 11 listed above can be found by clicking on Show More. That’s it. Thats all you have to do to clear your browsing data. If you need more help or this failed then feel free to ask for more help on our forums by clicking on the forums button above. We hope this guide helped you get rid of your browsing data in Microsoft Edge. 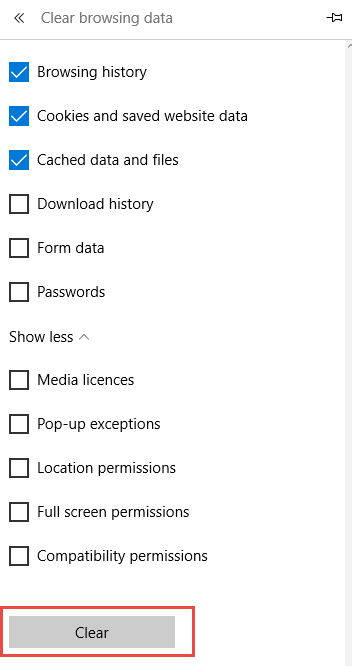 What folder is the cache kept in, say you can’t use the browser to police itself ?